Need Computer Repair in Portland? If you’re searching for computer repair Portland and have a problem with your tech, Nerds On Call can fix it for you. We hate to toot our own horn, but we’ve encountered, diagnosed and repaired pretty much every technology problem in the book! Whether it’s for your home, business, or a luxury yurt — it doesn’t matter — one of our nerdy tech ninjas will restore your desktop, laptop or portable device to perfect functioning order in no time. The best part? We’ll come to you. We offer a completely mobile technology repair and upgrade service. Here are some of the ways we can help in and around Portland. Is your Windows PC unresponsive? Are you getting that dreaded blue screen of death? Or are you constantly running out of hard drive space? We can help. Nerds On Call has been fixing computers in and around Portland for a decade. Fair to say, we’ve repaired more Windows PCs than we can count! What sets our service apart? Our commitment to carefully identifying the problem before attempting a repair. 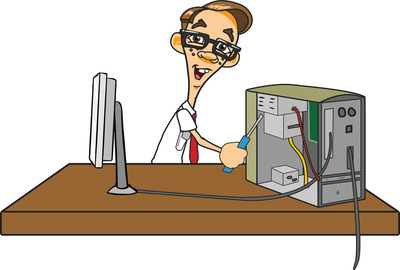 Before replacing any components one of our expert technicians will run an exhaustive diagnostic of your computer. We’ll identify exactly what’s going wrong and fix it the right way the first time. This saves you time, money and hassle. If you found this page with the search phrase “mac repair in Portland”, your quest is over! Nerds On Call are on speed dial for a ton of Mac owners throughout Portland. We offer repairs for pretty much every Apple product out there: MacBook Air, Mac Mini, iMac, MacBook Pro — and of course, iPhone and iPad. Maybe you’re dealing with the small, nickel and dime issues of loose plugs or those annoying sticky keys. Or perhaps you have a much bigger issue on your hands, such as a broken screen or malware infection (yes, they do happen on Macs). 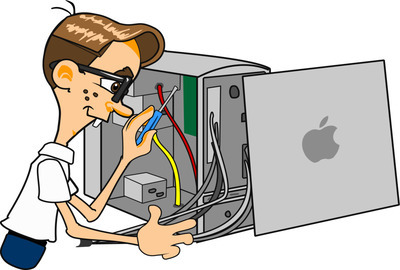 Whatever it is, we can provide a repair which uses 100% original apple parts. If you’re in Portland we can even come to you as we offer a completely mobile service. Nerds On Call has been fixing computers in the Portland area since 2009, and in that time we’ve recovered a lot of data, from business files to tax records to precious family photos and vacation snaps. If you’re worried you may have lost precious data on your laptop, desktop, a portable device or even an SD card, don’t despair. 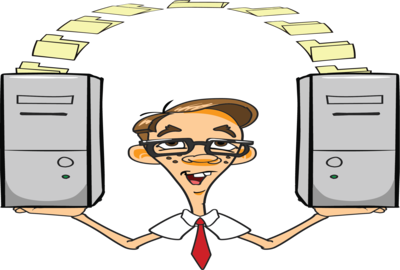 There’s a good chance we may be able to retrieve some or all of your files for you. If you’re in Portland we’ll come to you. We’ll perform a full diagnostic of your computer’s hard drive and if there’s a way to get your data back, Nerds On Call will find it! We’ll also set up a foolproof data backup system for you, so you need never feel that sinking feeling again. Our MacBooks, MacBook Airs and PC Windows laptops are sleek, convenient and portable devices. For many of us, they’re just a part of daily life. Unfortunately, laptops are also extremely fragile. 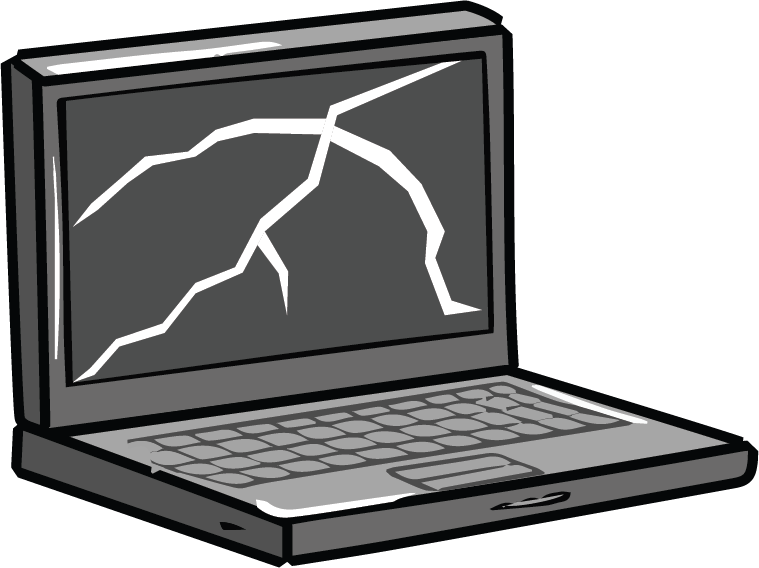 It only takes one bad bump or *gasp* a drop for your laptop to sustain a serious booboo. Laptop repair is a huge part of what keeps us so busy at Nerds On Call Portland. 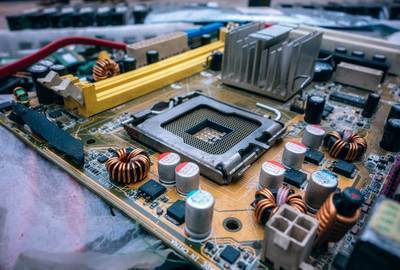 We’ve seen and repaired it all, from broken screens, to damaged keyboards, to boot failure, to loose plugs and ports … to name just a few common problems. At Nerds On Call we believe that you should only have to replace a laptop when you’re good and ready! With a professional repair it’s entirely possible to get many years of solid use out of your laptop. We’re your local laptop repair professionals. All our technicians live in the Portland area, which means our friendly nerds can repair your laptop quickly and reliably. No need to package your laptop and send it off to who knows where. We’ll come to you. Most of the time, if your desktop monitor begins to fail the best solution is simply to replace it. It’s not so simple when it comes to laptop screens. Because the computer and display are integrated, when a laptop display develops problems, many people assume their only course of action is to buy a new laptop. Not so! Our Portland based nerds have the skills, equipment and experience to perform complete laptop screen replacements for a wide range of makes and models. A screen replacement will typically cost just a small fraction of what you’ll pay for a new laptop. 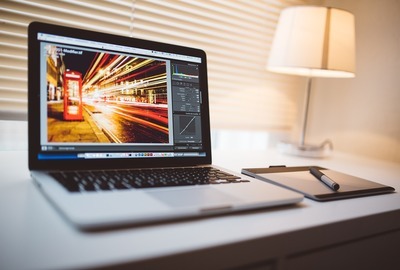 If your laptop display is cracked, flickering, filled with dead pixels or blurry and difficult to read, give us a call. We’ll be happy to give you a free no obligation quote for a full screen replacement. A decade ago when we started doing computer repairs in Portland, viruses weren’t really that big a deal. Sure, we cleaned our fair share of virus infections, but they weren’t especially serious. Decent virus protection software was really all you needed for reliable protection. It’s not like that now. Malware isn’t just more common. It’s also more dangerous, harder to detect and much more complex to prevent. Nerds On Call has long been a Portland authority on malware removal. Check out one of our news segments here. 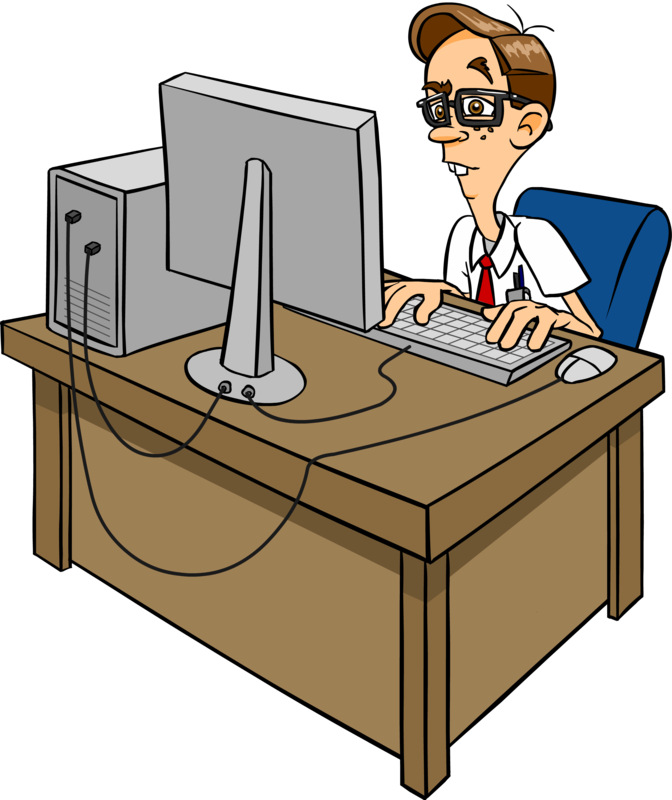 A big part of why we’re so trusted in malware removal is that we offer a complete malware protection solution. In other words, we don’t just get rid of your malware. We make sure it stays gone. If your computer begins to display odd or threatening messages, if it repeatedly crashes or slows down to a crawl, there’s a very good chance your computer may be infected with malware. When that happens, give us a call. 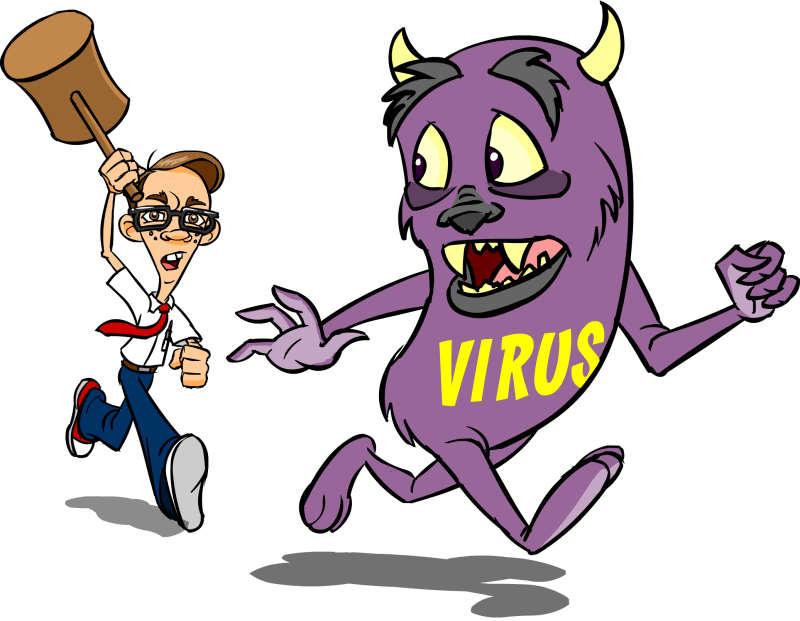 We’ll completely eradicate the malware infection wherever it is hiding (and believe us, malware has become very good at hiding, even from leading virus protection software). Then we’ll teach you pro-level virus protection tips. We can even shield your computer with ongoing live protection managed by our team of malware security experts. It’s the ultimate option for total peace of mind. A lot of people settle for a Windows PC or Mac which just “kind of works.” Maybe it’s a bit old and not fast enough to handle current software. Or perhaps it’s developed one or more hardware problems which make it frustrating to use. There’s no need to put up with that! If you’re in or around Portland and want your computer running as fast and reliably as they day you first bought it, Nerds On Call can help. Unlike your typical computer store, Nerds On Call offers a free diagnostic service. This eliminates all the guesswork in upgrading your computer. We’ll tell you precisely what’s going wrong with your tech and give you straight up advice on how to fix it. Better yet, we’ll come to your home to do it! Nerds On Call are Portland’s mobile computer repair specialists. If you live in or around Portland and need a friendly, inexpensive and extremely well-trained professional to repair or upgrade your computer, we’re the nerds you’re looking for. We’re local. And when it comes to getting your equipment fixed reliably and fast, going with a Portland based nerd makes all kind of sense. We’re also completely mobile. Why uproot all your tech and take it to a store when a qualified professional can come to you? Just give us a call on 916-306-5817 or drop us a line through our contact page. Take a moment to see what our customers are saying about us! Nerds on Call was extremely professional to do business with. 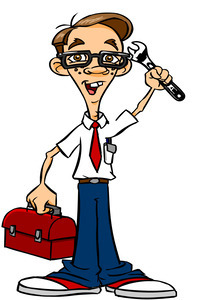 They competently explained how the repair process would work and fit us guaranteed results for the computer repair. This all started a few nights ago when my computer started acting glitchy out of no where. I found out that it was a hard drive related issue. They were able to successfully repair my computer and in the process saved my data from being permanently lost. I am eternally grateful for their diligence in this matter. I have had the Nerds for three years and they are the best I can call about anything like my printer isn't work they are just the best. In 2009, Nerds On Call was looking for another opportunity to expand our business and offer computer repair in more locations. We wanted to find a city that fit our interests and one that we could help the greatest number of people in. We had heard that the dream of the 90’s was alive and well in Portland – the 1890’s in fact. We couldn't wait to establish Nerds On Call Computer Repair, Portland branch. Being the retro enthusiasts that we Nerds are, we eagerly jumped on the opportunity to set up shop in the city! 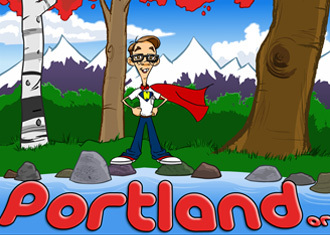 Nerds On Call entered Portland in 2009, the same year as another Oregon location. It was our third store that we had opened in Oregon. The year previous we had opened our other Oregon store to offer computer repair in that city as well. Hoping to blanket the beaver state in computer repair locations, we thought Portland would be the perfect fit. It’s a giant city with plenty of interesting people – and connected, computer-using people at that. The Portland Nerds On Call store also provides computer repair to the sister city of Vancouver. Our Nerds are mobile and not just stuck in a store, so we are able to go just about anywhere in the area to fix computers! One of our proudest accomplishments in the city is the giant sign for Nerds On Call Computer Repair Portland commuters can see while driving on the I-5 every day! To date, Portland is the largest city that Nerds On Call services. We wanted to be the computer repair Portland needs – and we hope that in the three years hence we’ve been everything we promised to be. Ryan and Andrea Eldridge, the founders of Nerds On Call, love to visit Portland. When they’re not out fixing computers, they enjoy taking their kids to the children’s museum and the Portland zoo. In fact they had become local celebrities, as for over six months, Andrea Eldridge appeared on More Good Morning Oregon regularly to provide helpful computer repair tips to Portland residents could use! While she spends more of her time being a mother now than appearing on television, her tech advice can still be found on the Nerd blog. Don’t worry, we still have tech expert, Josh Garnick, one of computer repair specialist in Portland. He has even appeared on the news as well. During the mid-2012 DNS changer computer virus epidemic, he was invited to speak on the subject on KVAL and let computer users know some tips about the possibilities that the virus presented. You can find the video and related article here. Thanks for being a part of everything that Nerds On Call has been up to in Portland for the past three years! We hope we’ve provided you all with quality computer repair and courteous customer service. Feel free to stop by anytime or give us a call – we’re always happy to hear from you, even if it’s just to chat!